This Saturday will see another KHL regular championship match played in the open air – the second of the season, and indeed, only the second in the League's 10-year history. The game is a contest between the two Dinamos, with Riga welcoming the men from Minsk, and a number of surprises await the fans who brave the winter temperatures and watch from the stands. The very first KHL regular season match under open skies took place last month, on the 2nd of December, when Jokerit welcomed Gagarin cup champion SKA to Helsinki, and it was an unqualified success watched by a crowd of 17,645, a new record attendance for the League. The stands erected for Saturday's match in the grounds of Riga's City Council Sports Complex can accommodate 8,500 spectators, and the organizers are promising a packed program of entertainment, so tickets will be in high demand and short supply. One historical hockey fact which has faded from memory is that the spread of the game throughtout the USSR began in Latvia, where they had been playing the sport since 1909. A Riga newspaper described the very first contest, held on the 28th of February of that year. The match was a contest between the Riflemen's Union and a team of gardeners, played on a rink on the grounds of the Horticultural Society, near the Hippodrome (now Grostonas Street). However, there was a gap of over two decades before the first officially recognized hockey match in the country, which was played on the 15th of February, 1930, between a team from Riga and a visiting collective from Königsberg. A year later, Latvia had become a full member of the International Ice Hockey Federation (IIHF) and began competing in World Championships, European Championships, and in 1936, the Olympics. At this time, Russia was still pondering whether to become one of the hockey-playing nations, but it was not until after WWII had ended that the game began to take off across the USSR, and the spark for the launch came from Riga. Latvian players featured heavily in the rosters of teams competing in 1946, the debut year of the USSR Championship, as they possessed the greater hockey-playing experience. However, the men from the Baltic just missed out on the medals, finishing the season in fourth place. A short whille back, Dinamo Riga turned to the KHL with a curious request: that the team be allowed to wear their white, road-trip uniform for the open-air encounter, so that the home fans could see the second uniform on their heroes. The men from Minsk were supportive, and so offered to wear their home strip for this special road match. Another curiosity: the match between the two Dinamos will be the first in League history to be played under natural light – the game will begin at 14.00 Moscow time. The venue for this open-air classic was chosen with the aim of displaying the improvements in Riga's sporting infrastructure, as well as to promote a healthy lifestyle in general and hockey in particular. 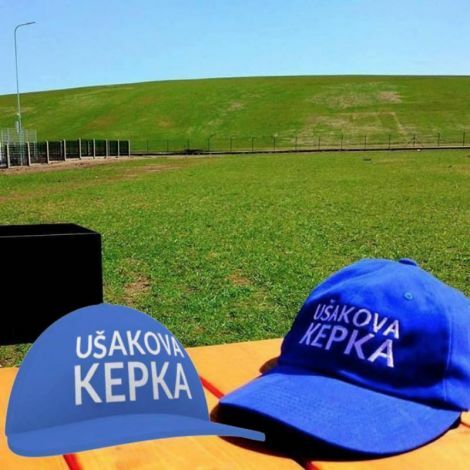 On the 17th of January, 2017, on a former landfill site was unveiled a slide designed for sledging, which the Riga public swiftly christened “Usakovs' Cap,” in honor of the charismatic mayor of the city, Nils Usakovs (hockey fans may remember his enthusiastic participation when Riga hosted the 2012 KHL All-Star Game). The site is now divided into three parts: a large holiday park, a green space with picnic tables, and the artificial slope - Usakovs' Cap, which can only be used at subzero temperatures, but after further work shall soon have slopes for skiing and snowboarding. It is but a snowball's throw from Usakovs' Cap to the rink and stands which will play host to 8,500 people on Saturday. The organizers even spared a thought for those who arrive but fail to get tickets, so the hockey action will be relayed via a giant screen. Dinamo Riga's official website has unveiled the program of events in this festival of hockey, and the club will provide a wide range of activities for spectators. A fan zone is in place, and will be open a full two hours before the game begins, giving fans more than enough time to stock up on hockey merchandise, or buy souvenirs made by Latvian craftsmen, or sample the local cuisine. They will also start baking the special Winter Ice Break cake to commemorate the occasion. Fans will be serenaded by music from the popular groups Fakts, Pulsa efekts, and Dzelzs vilks, plus an orchestra, the circus Studio Carabas, a youth choir from the House of Culture, and the life-size puppet theater Bestshow. Dinamo versus Dinamo - 17 wins each! In their time in the KHL, the Latvians and Belarusians have faced each other 34 times, and the score in past meetings between the clubs is 17 wins apiece. The first encounter took place in Riga on the 6th of October, 2008, and was a typically swashbuckling contest. The hosts raced to a 4-0 lead inside the first 12 minutes, and eventually won 8-5. In that match, forward Matt Ellison, who later became a star for the Minsk Men, hit a hat-trick for the Latvian team, and among the other players on duty that day was the current Dinamo Riga acting head coach, Girts Ankipans.